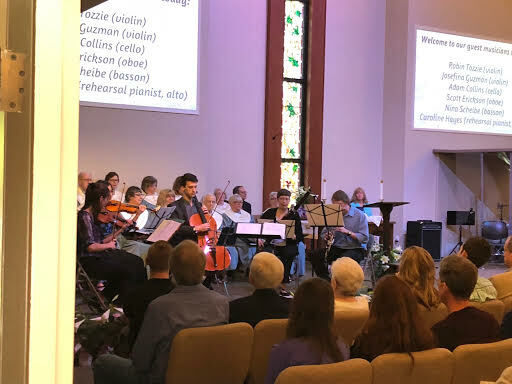 I have had the privilege to make a lot of music on Easter Sundays during the past 25 years as a part-time church musician and to lead dedicated and hard-working choral and instrumental ensembles for those more festive holiday services. During the past few years, I’ve put more time into preparing original music or arrangements for Holy Week and Easter. I was especially fortunate while serving as director of music at the (Episcopal) Church of the Epiphany in Rochester, New York, during 2014 and 2015 to have had been able to write some original music with texts by my friend, Debbie Bennett. I also lead a wonderful group of brass players who played on Easter Sundays and for whom I wrote several pieces of original brass ensemble music. I’ve included a computer-realized sample of some of that brass music below. The computer renditions of the hymn arrangements (below) lack the congregational and choir voices but will still give some idea of what the instrumental music sounded like during our two major congregational hymns yesterday morning. I hope you enjoy them. 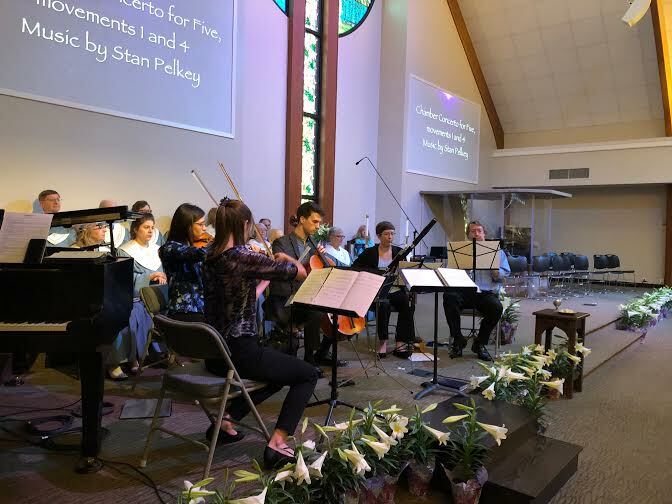 Arrangement of “Christ the Lord is Risen Today” for piano, two violins, cello, oboe, and bassoon (Stan Pelkey, with quotations from Handel, “Hallelujah Chorus”). Original “Rondo” for brass ensemble, composed by Stan Pelkey in 2014 and first played at The Church of the Epiphany in Rochester, New York. Arrangement of “Crown Him with Many Crowns” for piano, two violins, cello, oboe, and bassoon (Stan Pelkey). Who knows what next Easter will bring? But I plan to continue to seek inspiration for special composition projects for Easter mornings that can help turn people’s attention to the Hope of the Resurrection.